You will need to find a qualified custodian that specializes in alternative investments if you want to fully explore alternative investments with your self-directed IRA. There are a number of points you will need to consider to find the right fit for you. UpMoney: How can I find a self-directed IRA custodian to handle this? Chisholm: Finding a self-directed IRA custodian is challenging. 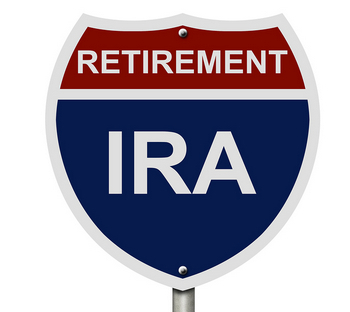 Partially because many firms use the term self-directed IRA to describe an IRA that can invest in stocks, bonds, and mutual funds. Other firms say they can provide custody, but they don’t. There is also a lack of reliable self-directed IRA industry related resources to help investors find a custodian to hold their alternative assets. Due to this lack of reliable resources, our firm has created an active list of self-directed IRA custodians and administrators, so investors can locate all the firms that specialize in this area. If investors are looking for a custodian, this list is the best place to find one that specializes in alternative assets. There are also good resources here to do further due diligence on each one. UpMoney: How much does it usually cost for a custodian for alternative assets? Do they usually charge annual fees plus transaction fees? I’m trying to figure out if it worth the cost and hassle to make a $50,000 investment. Chisholm: This is a challenging question because they are all different. This first thing that will be apparent to the investor is that the fees are higher than they may be accustomed to. If you are accustomed to paying $10 per trade then you see that you may be paying a % of assets held in custody, it might be a shock to you. There are different fee schedules for the different custodians. Some charge fees based on each transaction, and others charge a flat % of assets held in an account. Some even have a hybrid of both. The amount will vary based on the amount of assets you have in the account. Take for example you have $50,000 in your IRA. You might pay .75% of that annually in fees, but if you have $1,000,000 in an account, you might only pay 0.05%. You will want to base part of your decision on the amount of transactions you do. If you are making 10 transactions per month, then you may want a fixed or % based fee. If you are buying and holding one asset for 20 years, you may want a transaction based fee schedule. You will also need to consider the miscellaneous fees which most firms have. UpMoney: When I make the investment, is the investment in my name or another? Chisholm: This is an important point. Assets held in your IRA account are not held in your name. They are held in the name of the IRA. An example of how it could appear is, “ABC Trust Company FBO Joe Investor IRA”. That’s a long name to put on the title of your apartment complex deed, but that is what would be required. It is also important to note that if your personal name actually appears on documents that should have the IRA name, it could create a prohibited transaction. This is where some people get themselves into trouble. Remember this is not your money, it’s your IRA’s money. UpMoney: Let’s say I put $100,000 in my self-directed IRA with the custodian and invest $50,000 in the real estate deal. What types of investments can I make with the remaining money? Chisholm: This nice thing about self-directed IRAs is that the world is your oyster when it comes to assets. You can invest in virtually any asset with your IRA. For example you could invest in, real estate, private mortgages, tax liens, fishing rights, private businesses, equipment leasing, minor league sports franchises, horses, livestock, timberland, structured settlements, physical gold and silver, website URLs, and more. What investors should focus on are assets that they are an expert in. If your profession is in the real estate field, then invest in real estate. If you raise or train horses, focus on that. I see too many people wanting to invest in something that is completely foreign to them that they were sold directly or indirectly. Many times they know nothing beyond what they were told by the salesperson. This is why we put such a strong emphasis on due diligence with our investments. Any investment we consider for our clients goes through an extensive due diligence process to ensure it is high quality. Because we do not sell investment products, we can be a truly unbiased third party advisor to our clients.